I first met Mark Citret over forty years ago at Ansel’s 1973 Yosemite workshop. I was a student and Mark was an assistant on the workshop staff. I have always had a great respect for Mark as a photographer, and we have remained friends ever since. 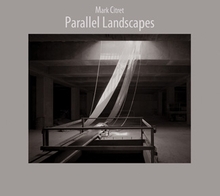 Mark has a beautiful new book out, Parallel Landscapes, and we are pleased to announce that autographed copies are available for sale at our Ventana Editions online store along with Mark’s first book, Along the Way. Parallel Landscapes is a collection of forty-seven stunning warm tone black and white photographs of the landscape of Mark’s dreams: a massive construction site in southwest San Francisco. The images were distilled from more than 100 photographs made between 1990 and 1993. During that time Mark chronicled the metamorphosis of the construction site from the excavation to the foundation, walls, columns, and enclosed rooms, and finally to a series of cavernous chambers. 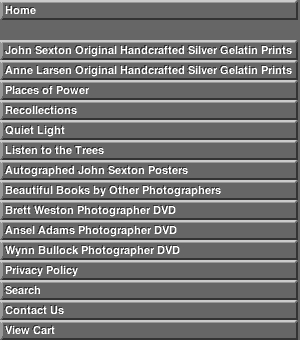 Each photograph in the book was made with a 4x5 view camera using Kodak T-Max 100 film and printed by hand in a traditional darkroom. Through Mark’s insightful eye he transports the viewer into mysterious and haunting environments both interior and exterior that transcend the utilitarian nature of the subject in front of the camera. In these images, in my opinion, Mark has truly made photographs, rather than simply taking pictures.